Readers of this blog know that it’s fueled exclusively by coffee. 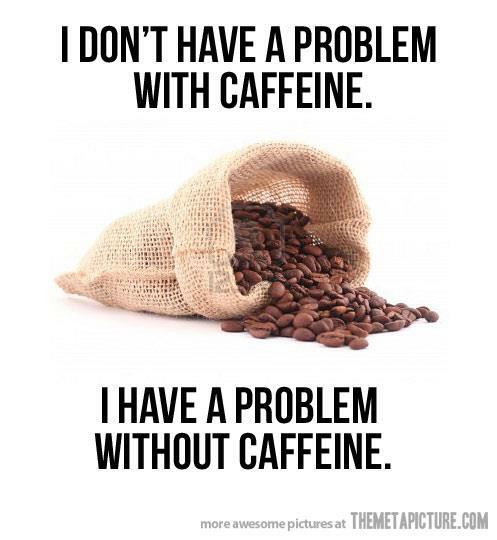 I’m merely the conduit of the coffee. In other words, reading this blog is like drinking coffee. I haven’t been blogging much during my vacation this month because most of my creative energy (and coffee drinking) has been focused on putting together a book proposal. It’s about time I wrote another one, don’t you think? What Size Are God’s Shoes was published in 2008 and while I have an Advent/Christmas mini-book coming out this fall (with reflection questions if you need an Advent program for your church — or if you’re desperate for last-minute Christmas gifts), it’s time for something bigger. We’ll see. If nothing comes of it I can always drown my sorrows in coffee. If it weren’t for the S***bucks reference I’d think you were the psalmist. Thanks, Catherine. And if there was ever any motivation to “get well soon” Maxwell House decaf is it! Prayers for Craig. I only buy the New York Times at STARBUCKS, not their coffee, and really can’t understand why any sane person with decent taste buds would even order, let alone drink, iced coffee with that pseudo cream and little squiggly designs that might as well be smoke signals for all I know. If you can’t drink pure unadulterated black coffee, you should drink tea or colas or just get a glass of water. Jeez Louise! Respect your taste buds. My wife drinks coffee and I don’t. So far, I’ve lived five years longer than her, and it’s been that way ever since we were married 45 years ago.